The city of Lucknow is known for retaining its quaint Mughlai appeal without shying away from modern development. Therefore, it goes without saying that this old world charm of Lucknow attracts all kinds of people, but it is the food lovers who find this city most appealing for its delicious, not to mention authentic, Mughlai and Awadhi cuisine! Here is a comprehensive list of outlets that you absolutely must visit while in Lucknow! Lucknow’s cuisine is one of the main reasons which attracts tourists from all over the world. If Delhi boasts of its spicy Mughlai flavours and Hyderabad of its lip smacking biryani, then Lucknow is famous of its Awadhi cuisine. 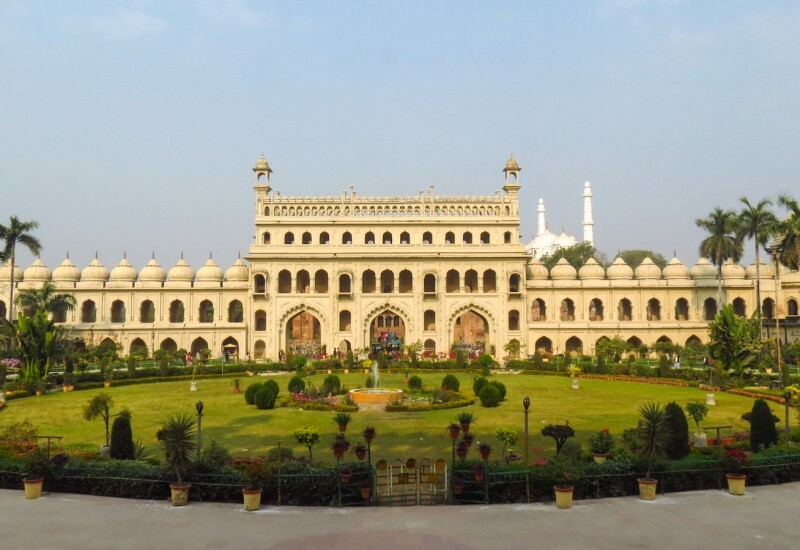 Like the former cities, Lucknow’s cuisine is heavily influenced by the Muslim rulers of the region, the Nawabs of Awadh. As a reason of which the city represents an amazing varieties to explore. To enjoy these amazing gastronomical delights, here are some of the best eateries you can enjoy in the city of Lucknow. Tunday Kababi – The Tunday Kebabi is amongst the best known food joints in the city of Lucknow. Located in Gomti Nagar, it doesn’t takes much to understand the servings in the food joint. Offering delicious Lucknowi Kebabs and varieties of paranthas, the Tunday Kebabi is a dream destination for any foodie in the city. With very ethnic and rustic charm the restaurants serves the best of soft, melting portions of kebabs. Dastarkhwan – This comparatively older restaurant in the city is often touted as the best outlet to try Mughlai and Awadhi cuisine. Dastarkhwan is considered a favourite amongst both the locals and tourists and serve a large range of unforgettable flavours. If you’re looking for a place to try some lip smacking Mughlai cuisines, then don’t forget to visit Dastarkhwan. Idrish Biryani – Apart from the famous biryani of Hyderabad, the one offered in Lucknow has it own prestige. Located at the Chowk area in Lucknow, the Idrish Biryani is known for offering the variety of dum biryani which is cooked at low flames on coal stoves. Such is the popularity of Lucknawi biryani that you’d find people from other cities taking Delhi, Mumbai and even Bangalore Lucknow flights to reach the destination. Royal Cafe – Located in the Hazratganj area of Lucknow, the Royal Cafe is an amazing restaurant to try different varieties of chaat, a popular snack in the region. Items like Chaat Tokri, Aloo Tikki, Matar Kulcha, Dahi Bara and the Lucknowi Chaat is extremely popular in the cafe. Pandit Raja Thandai – This famous dessert joint is located in the Kasturba Market area. Out of everything else, visit this place for some mind blowing, brain freezing thandai. A large glass of cool milk drink served with hints of spices and dried fruits is the best thing to cool your tummy after having a heavy meal in summers. Chhapan Bhog – If you’re looking for some local variants of desserts, then Chhapan bhog in Sadar Bazaar is an amazing place to try sweet dishes in pure Nawabi style. The shop offers some of the best Kaju Katlis in the region along with rabdi, kesar-milk, malai pan and more.